Prime Minister Justin Trudeau (troo-DOH') says Canada is "investing massively in AI," building on decades of research by Canadian computer scientists who helped provide the "modern underpinnings" advancing the field of artificial intelligence. Trudeau spoke at the Massachusetts Institute of Technology campus on Friday, during an annual meeting of the school's Solve initiative for tech entrepreneurs. He says Canada is making a "deliberate choice," but not an easy choice, to embrace change at a time when new technology is disrupting workplaces and leading to anxiety and fear about the future. Trudeau says Canada also has a responsibility to shape what rules and principles are in place to guide the development of artificial intelligence. Trudeau has been pitching Canada as a destination for tech companies and talent, emphasizing its inclusivity. 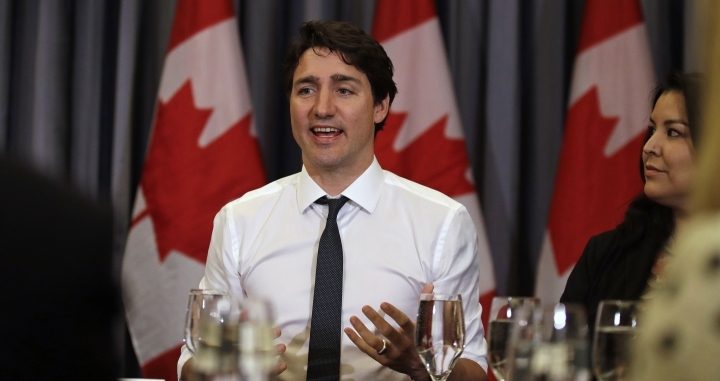 Canadian Prime Minister Justin Trudeau (troo-DOH') is scheduled to speak at a gathering of tech entrepreneurs at MIT. Trudeau will visit the Massachusetts Institute of Technology campus on Friday to headline the annual meeting of the school's Solve initiative. The project connects tech entrepreneurs with leaders in government, business and academia to tackle world problems. MIT says it will be Trudeau's first visit to Cambridge since he was elected prime minister in 2015. Trudeau's three-day trip to the U.S. also included a stop at New York University, where he gave a commencement speech on Wednesday urging graduates to embrace diversity and not cocoon themselves in an ideological "bubble." The visit comes amid talks between Canada, the U.S. and Mexico over whether to renew the North American Free Trade Agreement.